In his book ‘Altered Genes,Twisted Truths’, US public interest attorney Steven Druker exposed the fraudulent practices and deceptions that led to the commercialisation of GM food and crops in the US. Not long after the book’s release, he wrote an open letter to the Royal Society in Britain calling on it to acknowledge and correct the misleading and exaggerated statements that it has used to actively promote GMOs and in effect convey false impressions and the other to Monsanto. 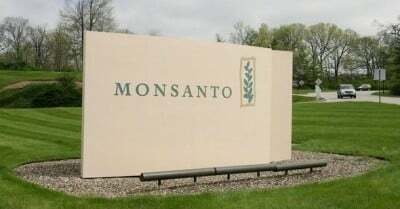 He followed this up by delivering a challenge to Monsanto’s headquarters on May 20, 2015 calling on the company to address the evidence presented in the book. The fully referenced book exposes the substantial risks of genetically engineered foods and the multiple misrepresentations conveyed by scientists and official bodies that have allowed them to permeate world markets. Druker has given Monsanto a chance to publicly critique his claims and argues that if the company cannot prove that his book is essentially erroneous, the world will have a right to regard these controversial foods as unacceptably risky – and to promptly ban them. ‘Altered Genes, Twisted Truth’ is the result of more than 15 years of intensive research and investigation by Druker, who initiated a lawsuit against the US Food and Drug Administration (FDA) that forced it to divulge its files on GM foods. The book indicates that the commercialisation of GM food in the US was based on a massive fraud. The FDA files revealed that GM foods first achieved commercialisation in 1992 but only because the FDA covered up the extensive warnings of its own scientists about their dangers, lied about the facts and then violated federal food safety law by permitting these foods to be marketed without having been proven safe through standard testing. Contrary to the assertions of its proponents, the massive enterprise to reconfigure the genetic core of the world’s food supply is not based on sound science but on the systematic subversion of science – and it would collapse if subjected to an open airing of the facts. Face Up to the Extensive Evidence Demonstrating that Genetically Engineered Foods Entail Unacceptable Risks and Should Be Promptly Removed from the Market. If by July 20th you and your allies have not been able to refute the essential factual accuracy of Altered Genes, Twisted Truth according to the terms set forth above, the world will have a right to assume that it is as sound as the experts who reviewed it have affirmed – and to conclude that GE foods are unacceptably risky and must be banned. In his letter to the Royal Society, Druker provides specific instances where its members have at various times made false statements and the institutes actions were not objective or based on scientific reasoning but seemingly were little more than biased and stridently pro-GMO. He argued that the Royal Society has misrepresented the case for GMOs and has effectively engaged in a campaign of disinformation. The Royal Society acts as a scientific advisor to the British government. It disseminates scientific advances through its journals. It also promotes science information and communication with the public. The Royal Society is a prestigious institution that feeds into policy formulation processes at national level in the UK. By the mid-1990’s, Druker notes that the Royal Society had become a partisan defender of GM foods and embraced a proactive policy on their behalf. In pursuing this proactive policy, he argues that several individuals holding prominent positions within the society – and even the society itself – have issued misleading statements in regard to GM foods that have created significant confusion and illegitimately downplayed their risks. He then goes on to document specific instances of occasions when this occurred. Certain claims made in favour of GMOs were not supported by solid scientific evidence, neither did they clearly represent a consensus within the scientific community. However, Druker notes that the society’s most deplorable actions in defence of GM foods were directed at the research on GM potatoes conducted at the Rowett Institute under the direction of Dr. Arpad Pusztai. That research study is still one of the most rigorous yet performed on a GM food. It continues to be highly relevant because it controlled for the effects of the new foreign protein – which entails that the adverse results it registered were attributable to a broader feature of the genetic engineering process itself. Druker states that having unfairly attacked the research, the Society then strove to prevent it from being published. Even after the research was published (in The Lancet in October 1999), the Society continued to unjustly malign it. He called on the Society to clear up the confusion caused by the misleading statements it has made to promote GM food and issue a formal statement acknowledging the following. B. That neither you nor any other scientific body has directly confronted and refuted the cautionary reasoning in the 2001 report issued by the Royal Society of Canada (which it has never retracted or revised) – and that this report stands as one of the compelling testaments that there is not a scientific consensus that GM foods are safe. E. That Dr. Pusztai’s research was properly peer-reviewed and gained publication in The Lancet based on its merits, with five out of six referees voting in favor – and that, contrary to claims that the Society and other proponents of GM foods have advanced, the research has never been refuted or in any way discredited by subsequent studies – which entails that it is still relevant today. If you have not done so by 20 April 2015, the world will have a right to assume that it [his book] is as sound as the experts who reviewed it have affirmed – and that GM foods are therefore unacceptably risky and must be banned. And the response from Monsanto and the Royal Society? As the preeminent scientific body within the UK that advises the government, the Royal Society has an obligation to the British public to provide a public response and “put the record straight” on GMOs, not least because the current staunchly pro-GMO Cameron-led administration will likely sanction the planting of GM crops in England within the next couple of years and the Transatlantic Trade and Investment Partnership (TTIP) deal could open the floodgates to GM foods appearing on the shelves of UK supermarkets. The Royal Society’s record on GMOs has been shameful (as a prominent public body in the UK, it is certainly not alone in this respect). Given what is at stake, its silence towards the issues raised by Steven Druker is little better. As for Monsanto, perhaps it too, like the RS, hopes that by ignoring Druker, he and his book will quickly fade from public memory. Or perhaps the company is just too preoccupied with fighting lawsuits, trying to influence legislation by pouring money into campaigns, attacking critics, infiltrating public bodies, pouring more money into its PR spin machine, funding ‘travel expenses’ for pro-GM scientists, lobbying the EU to try to get GMOs into Europe, mounting a campaign against WHO-associated scientists, fighting a rear-guard action in Argentina, managing its profits courtesy of the massive subsidies given to US farmers, working with the Gates Foundation to uproot indigenous agriculture in Africa or cementing its grip in Ukraine on the back of the US-led coup there. As you can see from this somewhat shortened list, its workload is huge. However, you will not see any of that listed under any ‘who we are’ section of its website or a listed under any ‘what we do’ explanation. Monsanto is a very busy company. But it seems some things are best ignored rather than addressed. Or perhaps it was always the case that it was simply not up to the challenge laid down by Steven Druker. It’s something many have suspected all along.